TheRustedChain - The Blog: Blogger sale! Use code "blogger" to get 15% off until Oct. 10. They have lots of great goodies including squeaky shoes, babylegs, and the best crochet items out there! 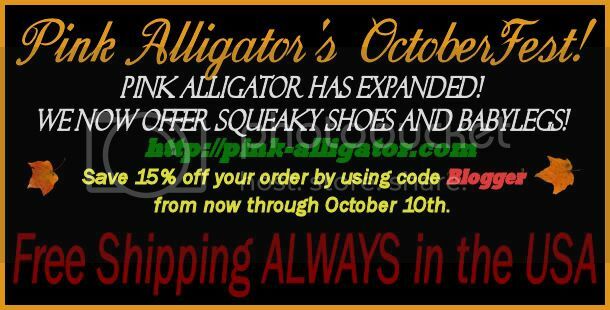 Click here to go to Pink Alligator boutique.